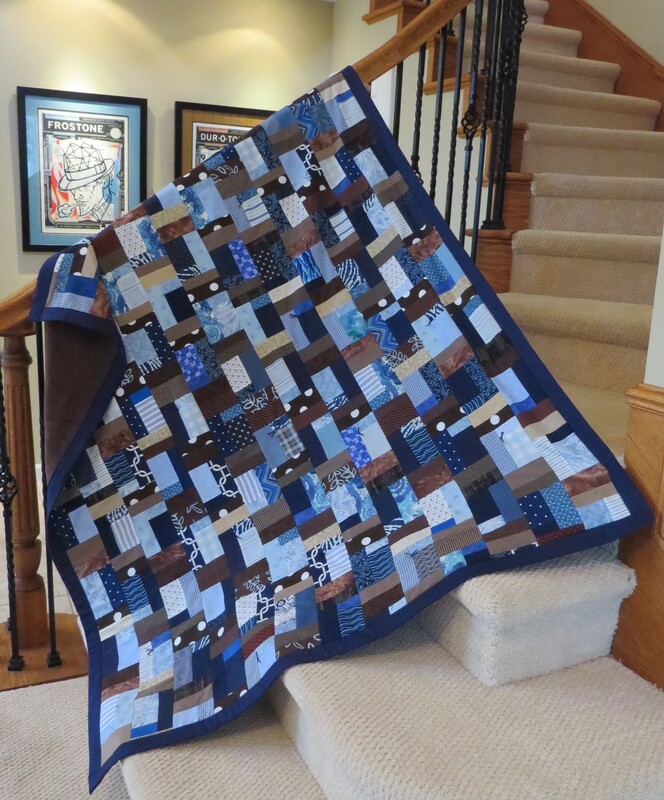 This entry was posted in Quilt Projects and tagged charity, foster kids, quanket, quilt, scrappy quilt by jeanswenson. Bookmark the permalink. Beautiful! Great way to use those scraps for a great cause. Thanks for sharing with Oh Scrap! Thanks! I’ve been making good progress so far this year with bustin’ through my scraps! I too think its a beautiful quilt. Definitely a good way to use scraps. Maybe I should try that way and see if it works for me. Thank you! Early in my quilting endeavors, I used the strip technique a lot, since it is relatively quick and fuss-free. While this particular quilt did not use the usual strip technique, I sort of used the technique to quickly combine my scrap pieces together.